In this 60-minute class you’ll continue learning fundamental techniques along with more variations of position, strategy, and application. The beginner class is where you start to apply the techniques that you are learning through warm ups that tie directly in with Relson Gracie Jiu-Jiu techniques, drilling of moves, and controlled sparring sessions. All belt levels are welcome. In this 60-minute class you’ll be exposed to many new Relson Gracie Jiu-Jiu techniques, strategies, and applications. This class is taught to the student base that makes up most of the class (i.e., if there are 3 white belts and 8 purple belts the class will be geared more towards the purple belts), although instructors will work with all students to ensure all needs are met. All belt levels are welcome. This 60-minute class is for blue belts and above only. You’ll be exposed to many different approaches including tournament style Relson Gracie Jiu-Jitsu, takedowns, and competition strategies. This 60-minute class will help to develop a well rounded jiu jitsu game. While Relson Gracie Jiu-Jiu is primarily a ground fighting system, judo will give you the skills you need to take the fight to the ground. If you are serious about competition, this class is a vital part of being prepared. Judo is open to all students. This 60-minute class is for women only, taught by women instructors. This class is a great place to start for women who might not otherwise consider doing jiu jitsu. This class is a mixed level class ranging from white belts to brown belts and provides a welcoming, but challenging, environment to train. This class teaches self-defense and sport jiu-jitsu. In this 60-minute class you will be exposed to many of the same Relson Gracie Jiu-Jiu techniques, applications, and strategies learned in a gi, but adapted to no-gi training. All belt levels are welcome. This 60-minute class is focused 100% on self-defense. You will be taught Relson Gracie Jiu-Jiu techniques that have been used in real life situations for decades. You’ll learn defenses against striking, weapons retention, disarming techniques, and offensive and defensive movements while on the ground. Relson Gracie Jiu-Jiu is first and foremost a self-defense martial art. Take advantage of this opportunity to learn these techniques in addition to sport jiu-jitsu and be prepared for any situation. Self-defense is open to all students. 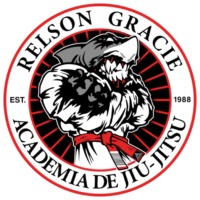 This 30-minute class is designed to get the littlest of the jiu jitsu practioners (5-8 years old) ready and able to learn the more intricate moves in Relson Gracie Jiu-Jiu. We focus on balance, strength, coordination, and having fun while learning Relson Gracie Jiu-Jiu techniques. This 60-minute class is designed to help our juniors (8-14 year olds) develop a strong understanding of the Relson Gracie Jiu-Jiu techniques needed for both self-defense and for competition. In this class students will learn fundamental techniques along with more advanced variations of movement, strategy, and application. This class consists of a warm up that ties directly in with Relson Gracie Jiu-Jiu techniques, drills, and sparring. The beginner class is where you start to apply the movements that you are learning in controlled sparring sessions. Private lessons are available to all academy members & visitors and are a great way to gain more personalized instruction and advance your skills. Students who want that extra edge for competition or just want to improve their overall understanding of their game should invest in private lessons.